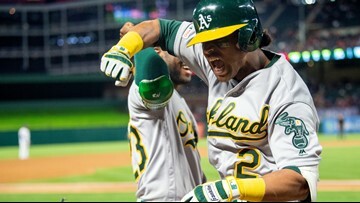 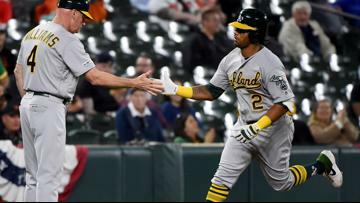 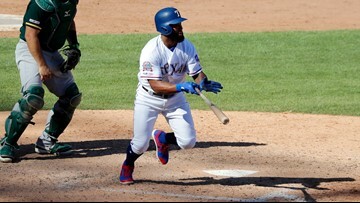 Khris Davis rallies the A's with a solo shot in the eighth inning leading Oakland to beat the Texas Rangers 8-6 on Friday night. 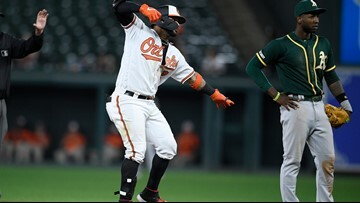 Still seeking his first victory with Oakland, Marco Estrada gave up six runs in four innings and the Baltimore Orioles routed the A's 12-4 on Monday. 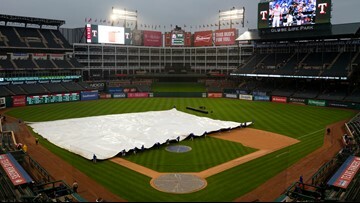 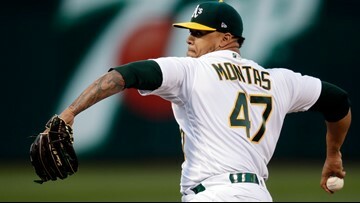 Mark Canha hit a two-run homer in the fourth that held up for Brett Anderson, and the Oakland Athletics beat the Los Angeles Angels 4-2 on Saturday night. 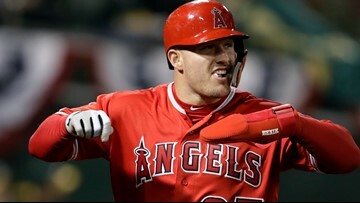 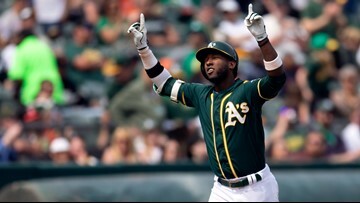 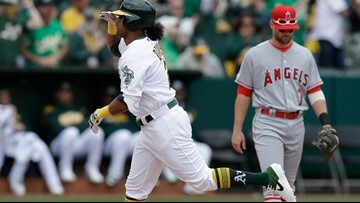 The Los Angeles Angels beat the Oakland Athletics 6-2 on Friday night for its first victory under new manager Brad Ausmus. 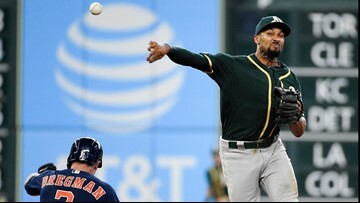 Khris Davis and Marcus Semien each homered for the Oakland Athletics, who beat the Los Angeles Angels 4-0 on Thursday for their first win after a pair of losses to Seattle last week in Japan. 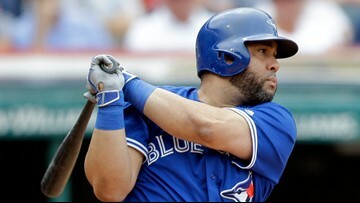 The Oakland Athletics have acquired first baseman Kendrys Morales from Toronto, giving them a replacement for injured Matt Olson. 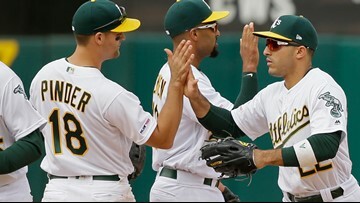 This marked the earliest opening day ever — the summer sport actually started on the last day of winter.